Due to increased responsibility, long work hours, staff shortages, and other factors, burnout is a problem among nurses across the country. One-out-of-three nurses report feeling unsatisfied about their work environment. It’s one of the highest contributors of staff turnover and a driving force behind nurses leaving the profession altogether. Burnout and a low Well-Being Index score can lead to many negative implications. On a personal level, burnout has been directly linked to depression, a decreased quality of life, even personal harm. 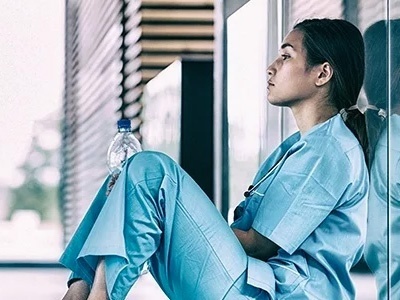 From an organizational standpoint, a decreased well-being leads to decreased patient care levels, on-the-job error, and is correlated with high staff turnover. The Nurse Well-Being Index was invented at the Mayo Clinic to evaluate multiple dimensions of distress. It is a completely anonymous online tool that accurately measures well-being in just 9 questions. After completing the assessment, users have the ability to track their wellness over time, access to helpful resources, and more. The goal of the Nurse Well-Being Index is to identify the problem and give institutions and nurses a way to track well-being. Once the problem is addressed, a solution to improve well-being can be implemented, rejuvenating passion and purpose. Removes the fear of implications: The Nurse Well-Being Index is 100% anonymous. Tracking and extensive reporting tools encourage self-awareness of well-being. A way to evaluate the effectiveness of wellness programs. A set of completely customizable features for all of your organization's needs. The WBI Community is available to connect with fellow users and is full of resources to ensure success. Provides instant access to valuable resources when nurses need them the most.